WinZip is the first professional application of creating and opening archive files in Windows. WinZip is now under by Corel corporation, producers of Graphics design software like Paint Shop PRO. They recently released the beta version of upcoming WinZip 14. The new WinZip 14 is specially designed to support Windows 7 OS from Microsoft. Support for touch screens, jump lists, option to zip Windows 7 image and media libraries are few notable features added as a part of the Windows 7 upgrade. Zipx compression mode introduced in WinZip version 12.1 is also available in WinZip 14. The new compression algorithm used in this format is superior than normal Zip format. 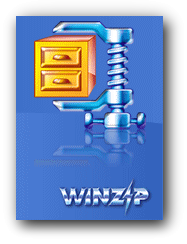 WinZip 14 is a shareware application available for 45 day trial version. Open ZIP, Zipx, RAR, 7Zip and other popular archive formats. Create Zipx file with a better compression algorithm. Create self extracting .exe archives. Compress images with losing quality. Create one click archives from Windows 7 libraries. WinZip 14 supports finger gesture support in supported machines. Upload Zip files via FTP. Write Zip files to CD or DVD. Email Zip archives with the support of addons. Advanced AES encryption technology for protecting Zip archives with a password. Download WinZip 14 beta here . Update: A new version WinZIP 15 is now available for download. Currently you need WinZip for opening files with Zipx compression. For others there are free alternatives like UniExtract,7Zip etc .